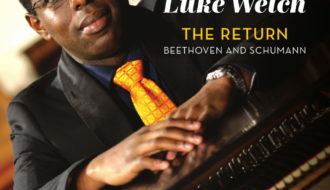 Canadian pianist Luke Welch was born in Toronto, Canada and grew up nearby in Mississauga. He first performed at age seven, and his early private piano teachers include Kyzysztof Jedrysik, Catherine Kuzeljevich, and John-Paul Bracey. He graduated from Western University (Canada) and also studied in the Netherlands. Welch has also participated in the classes of Jean-Bernard Pommier, Dang Thai Son, and André Laplante, and his past concert schedule includes Canada, USA, Netherlands, Belgium, Germany, France, Italy, England, Ireland, Scotland, Wales, and New Zealand. 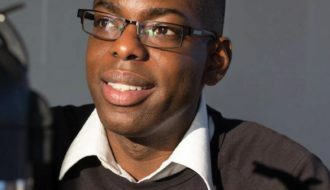 Most noteworthy, his previous performances include St. Giles’ Cathedral in Edinburgh, St. Martin-in-the-Fields in London, and Castletown House in Ireland. Additionally, he has appeared at Music Mondays in Toronto, Waalse Kerk in Breda (Netherlands), and Beethoven Haus in Bonn, Germany. 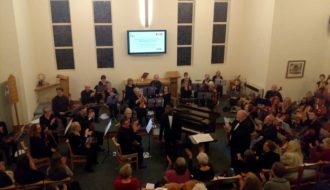 Welch has also collaborated as soloist with Durham Chamber Orchestra, Greenway Strings, Mumbles Symphony Orchestra, and Winchmore String Orchestra. Welch was the 2018 recipient of the Harry Jerome Arts Award, awarded by the Black Business and Professional Association. and additionally released his third album, The Return: Beethoven and Schumann in February 2019. The complete discography is available in the Shop.